What is mesotherapy? Mesotherapy is a method which is applied by delivering substances to the skin in such a way that they act locally without being removed from the area. It mainly concerns dermatological and musculoskeletal problems. It was invented by Dr. Michel Pistor in 1957, which lived and exercised medicine in the suburbs of Paris. Since then it has spread and evolved as a medical method all over the world. Since 2014, the term intradermal treatment has been scientifically adopted. Today we can talk about homeopathy and homotoxicological mesotherapy, about autologous mesotherapy and its most modern term, the bioregulatory mesotherapy. Aesthetic medicine is a first choice treatment for anti-aging, the treatment of five types of cellulite, local fat mass and small wrinkles. It provides full hydration of the body while is being combined with other therapies. The treatment can be applied to ages 18 and older. The duration of treatment is from 10 to 20 minutes. The results depend on the problem and the choice of the type of biological substance. 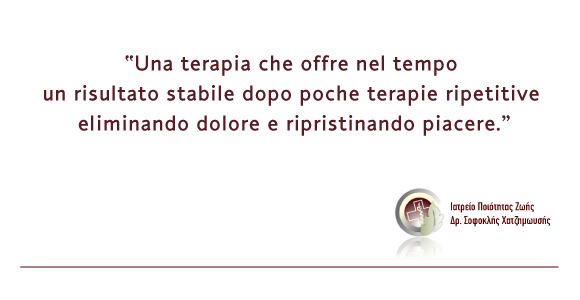 A therapy usually lasts 1 week to 8 months. Repetitions of sessions are done weekly, fortnightly, monthly or less frequently dependently on a case-by-case basis. Spots that are created on the face after the application of the treatment may disappear after 5 minutes on the face and up to 3 days later in the body. Mesotherapy with natural therapies, such as bio-functional mesotherapy, homeopathic or homotoxic mesotherapy, autologous mesotherapy, hyaluronic mesotherapy, are harmless. How it works? Mesotherapy is a very simple medical method where the doctor gives the skin the substances he has chosen in the amount required. The method of administration is done with a very small needle of 2-4 millimeters in length. Infusions include vitamins, and minerals, amino acids, peptides, hyaluronic acid, collagen, plasma, homeopathic substances, etc.